Please enter your details in the form below and we will get back to you as soon as we can. Welcome to Woodborough House Dental Practice, set in the heart of Pangbourne, near Reading we are an established practice with over 40 years’ experience in helping people to improve their smiles and keep their teeth healthy. We are one of the first dental practices to deliver excellent treatment with revolutionary iTero technology. 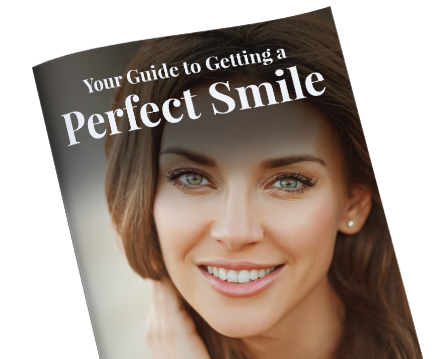 You now have choices that can help you smile with confidence and at Woodborough House we give you all the options to ensure that you get the smile that YOU want. With personalised patient care an award winning team, we are proud to present a few kind words from our patients. we take immense pride in taking the time to understand your individual needs and answer your questions in a thorough and professional manner. I recently had a dental emergency; was given an appointment within an hour, on my way within two. Yes, the parking is challenging, but the service is excellent. Is it bad to say I actually enjoy going to this dentistry? If you’re nervous of dentists, these are the people to chose. Fantastic staff, kind & considerate and have all the time in the world for you. Highly recommend. The best dentist ever, used Sarah for 20 years now and I’ve followed her as she’s moved out of London further and further but she is definitely worth the time to get to her. You will not be disappointed by her quality of work or service. I have to agree with the reviewers who have praised him and his team’s abilities in dealing with what appear to be rather complicated dental problems; their techniques do seem impressively high-end and are certainly extremely effective in my case. Sarah got me in a few days before my holiday and sorted my wisdom tooth out for the time being until I get back. Sarah made me feel so at ease and told me step by step what she was doing which I need as I’m a nervous patient when it comes to the dentist! Cathy was absolutely lovely as well when she dealt with my X-ray. I was referred to Woodborough for specialist treatment and went on to have implants. Clearly the dentists are technically expert (and award winning!) The friendliest dental surgery I have ever visited. Every single member of staff is warm and reassuring. Implant surgery went really well and has transformed my life! I’d like to thank the whole team at Woodborough House for helping me yesterday. I was very anxious about my treatment with Kuljeet but everyone looked after me very well. You all helped me to feel at ease (as you always do). Kathy came to chat with me & the nurses were very sympathetic and soothing & so of course was Kuljeet. Nick is extremely knowledgeable dentist, the process explanation was clear at all times & he could answer any questions I had. This added to state of the art technology used means that I got a great service. The rest of the staff are also very professional, special thanks to Mandy. I could not be happier with the Enlighten treatment at Woodborough House. The results are well beyond what I expected and I recommend it highly. I’ve had loads of compliments and it has given a real confidence boost.